This is a touching tale of love, self-awareness and how love persists over the years. Izzy and her daughter Claire are shopping. It is just before Christmas, the streets of Winchester are crowded and the air is icy. Izzy bumps into a tramp, a homeless man, and is sure she knows him. But when she turns round, he is gone. This is the story of Izzy and Robin’s love for each other, their loss, and how they find themselves and each other again. 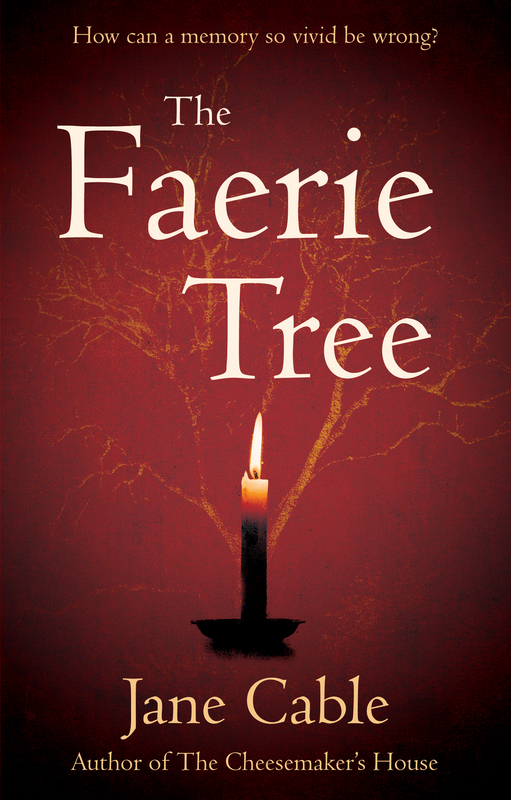 Where does the faerie tree come into it? It is place where children leave gifts and messages for the fairies, and where the fairies leave their replies. The tree is central to this story of hope and compassion, of flawed characters, real people, finding their way out from the darkness. Beneath the faerie tree, Izzy and Robin swear eternal love to each other in 1986 but are soon after parted by circumstances. When they finally meet again, their memories of their early time together are so different: why? And whose memory is correct, whose flawed? This story combines a love story with suspense and a sprinkle of folklore. Jane Cable is turning into an author where I will read every book she writes. Click here to read my review of Jane Cable’s first novel, The Cheesemaker’s House.